CINCINNATI -- How long are you willing to walk to get to a restaurant? How far is too far when you're biking to work? Questions like those are top of mind for the people planning Wasson Way, a mixed-use trail now under design after years of grassroots advocacy from neighborhood groups. Work sped up last fall on a 4.1-mile section that forms the spine of the trail through Cincinnati's East Side. That's when the city finally bought an unused rail corridor more than a year after reaching an agreement with Norfolk Southern on terms of the deal. Now come the nitty-gritty details: What's the trail going to look like? How wide will it be? And where do you put the trailheads? New maps show a dozen major access points, as well as two paths along a long section of the route. Chart of walking speeds for different groups of people. Then there's the question of how far -- or, more accurately, how long -- people are willing to walk or bike for different reasons. And apparently, we're all pretty lazy: Many people are willing to walk up to 10 minutes for shopping, dining, school or recreation -- but not much more than that. A 20-minute walk? Only about 5 percent of people are willing to go that far. Biking doesn't fare much better, although about 5 percent of bicyclists are willing to pedal 30 minutes to get to work. 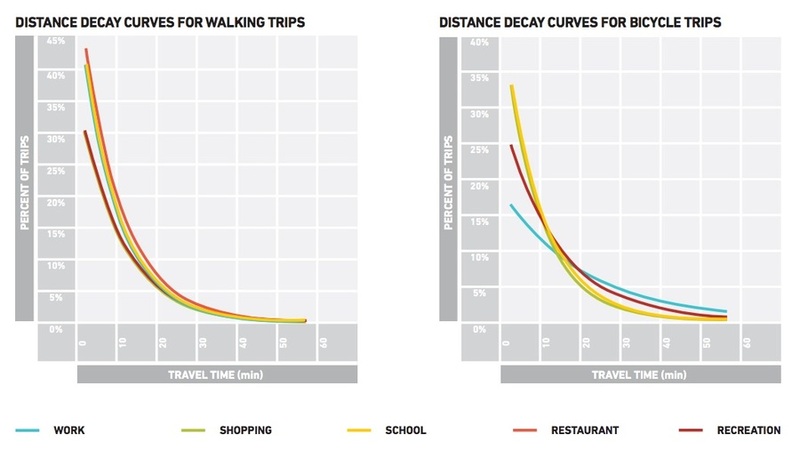 Graphs show how long people are willing to walk and bike to different destinations. People also can get onto the trail from smaller side streets, according to the city's website. 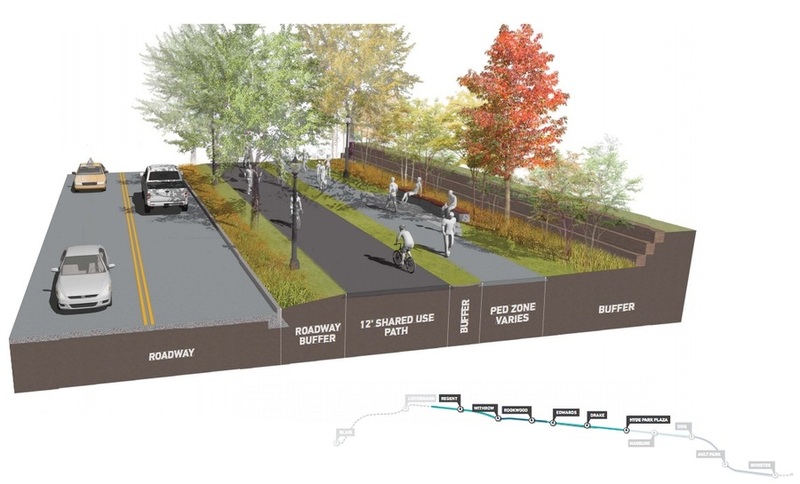 A rendering of the separated paths portion of Wasson Way. A rendering of the shared path portion of Wasson way. Norfolk Southern started pulling out its old rails near Paxton Avenue last week; under its deal with the city, the company gets to keep the valuable scrap metal. The city expects to start construction this summer on the trail's first section, a .65-mile stretch on the southern edge of the Rookwood Commons shopping center. Final designs for the first phase should be finished next month. City planners estimate it will cost about $1.1 million to build this first phase of the trail. The city's paying for it, in part, with a $500,000 grant from the Ohio Department of Natural Resources and $50,000 from a grassroots nonprofit backing the project. Once finished, the trail will eventually stretch from Victory Parkway near Xavier University in Cincinnati's Evanston neighborhood to the Little Miami Bike Trail in Anderson Township, which extends out to Mariemont. 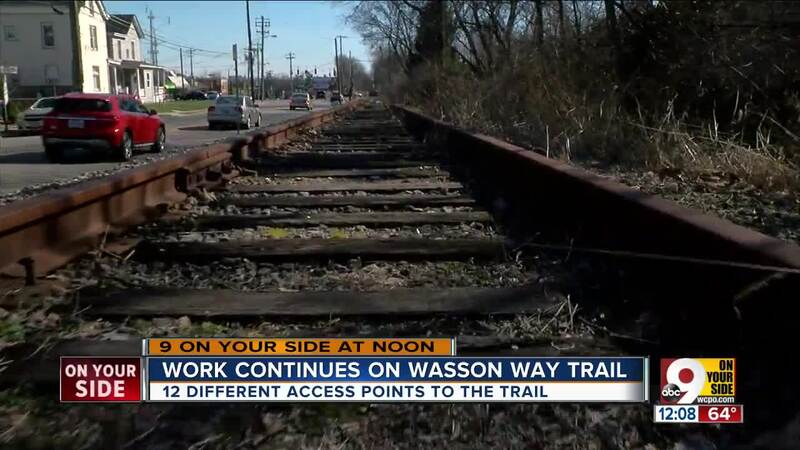 The nonprofit backing the Wasson Way project has said the trail would spark countless development opportunities, boost spending locally by up to $9 million and increase the values of homes near the trail by up to $9,000 each. 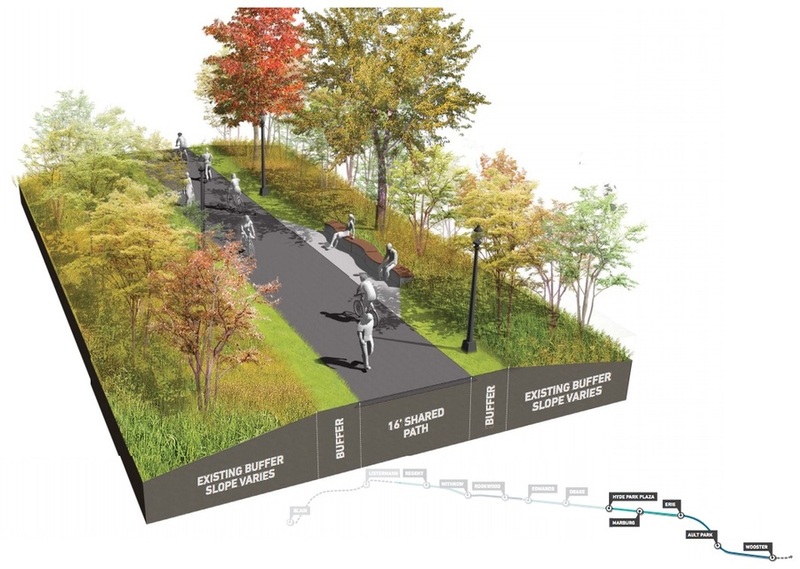 The Wasson trail, under the proposed Cincinnati Connects Plan, is also slated to be one of four major trail plans that ultimately would connect to form a 42-mile network of trails running throughout the city. This story contains prior reporting by Pat LaFleur, WCPO transportation reporter.